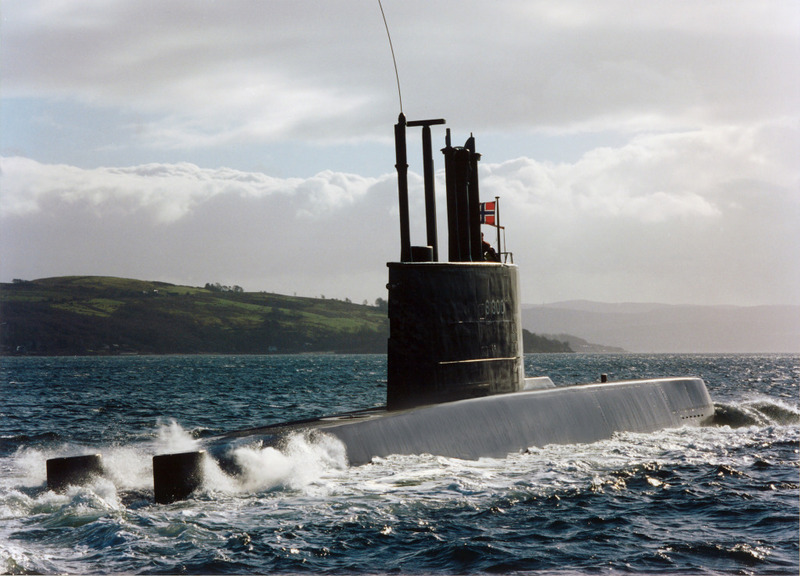 As is known, the Vanguard-class is a British class of nuclear-powered ballistic missile submarines (SSBN) in service with the Royal Navy. Commissioned into service between 1993 and 1999, HMS Vanguard, Victorious, Vigilant, and Vengeance were originally designed for a 25-year lifespan. However, this has been extended by up to 13 years, postponing the requirement for a new class of SSBN and bringing the procurement timeframe into line with the Ohio-class replacement program (U.S. Navy). According to Jon Rosamond, USNI News, the concept work on Britain’s so-called Successor SSBN began in 2007, with the Ministry of Defense appointing an industry team consisting of shipbuilder and design lead BAE Systems plus Babcock (providing the torpedo handling/launch system, signal ejector system, and through-life support expertise) and Rolls-Royce (responsible for the nuclear steam-raising plant). The MOD approved the so-called «Initial Gate» business case for the new submarines in 2011, releasing funds for a five-year assessment phase intended to bring the design to 70 percent maturity. 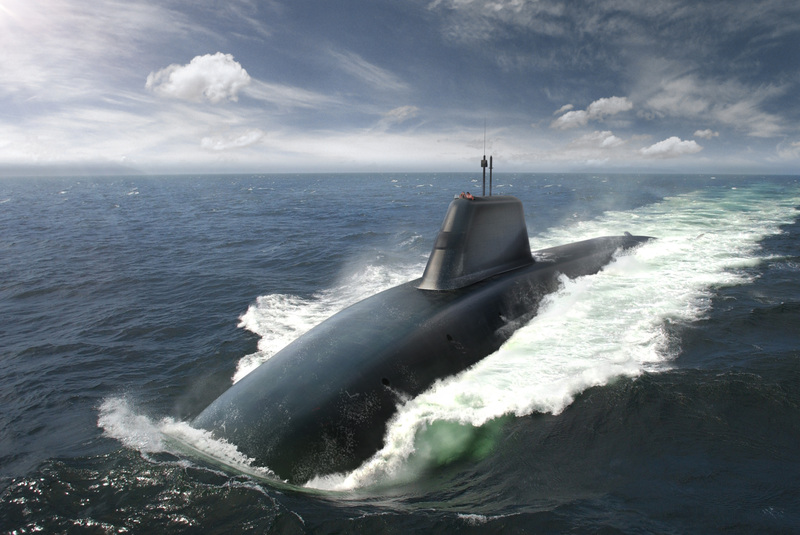 In 2013, BAE Systems has been awarded contracts totaling £79 million by the UK Ministry of Defence to begin procuring its first long lead items for the Vanguard Successor programme, which will carry the nation’s nuclear deterrent capability from 2028. The MOD released a concept image depicting an aggressively raked sail, X-shaped stern, and bowplanes located below the waterline when the boat is surfaced. 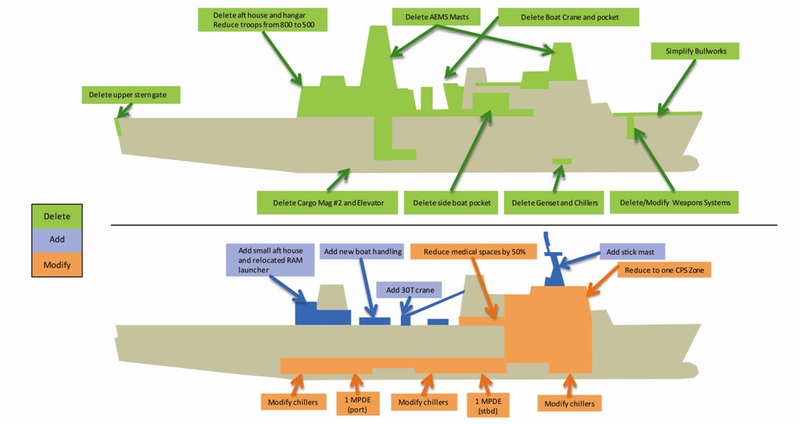 Displacing about 17,000 tons, Successor will be slightly larger than the UK’s current SSBNs (15,900 tons). Propulsion system components, high-grade steel for the pressure hull and other critical long-lead items for the first ship have now been ordered and some manufacturing activities have started. Tony Johns, Managing Director of BAE Systems Maritime – Submarines, said: «Following the Government’s announcement in May 2011 that the programme had passed its «Initial Gate», it is now well into its third year of a five-year design and development phase, during which the submarine’s concept design and operational requirements are being matured into a detailed design. The «Main Gate» procurement decision – giving permission to proceed for full production – is due in 2016». By aligning the procurement of the Vanguard and Ohio replacements, the U.K. opened up opportunities for collaborative work with the United States in several areas, notably the design of the Common Missile Compartment (CMC) and the nuclear powerplant, and the integration of sonar arrays and associated combat systems. Although Successor will be fitted with three quad-pack CMC modules, providing 12 launch tubes for Trident D5 ballistic missiles (down from Vanguard‘s 16 tubes), the British government has decided that just 8 operational missiles will be routinely carried on patrol. Meanwhile, General Dynamics Electric Boat will supply outfitted tubes – 87 inches (2.21 m) in diameter and 45 feet (13.72 m) high – for CMC assembly in the U.K. In October 2014, the U.S. Navy awarded Electric Boat $84 million to start CMC missile tube manufacturing: 12 for the Successor lead ship, 4 for the Ohio replacement program and 1 for the Strategic Weapons System-Ashore test facility at Cape Canaveral. Meanwhile Rolls-Royce is developing the RN’s third-generation pressurized water reactor (PWR3) with technological support from the United States, under the terms of a 1958 intergovernmental agreement to share atomic energy technology for defense purposes. The PWR3 design has benefitted in particular from lessons learned with the S9G reactor that powers the Virginia-class submarines. Compared with the Vanguards’ PWR2 system (27,500 shp, 20.5 MW), the PWR3 has a simpler circulation design and should be easier to operate. According to Rolls-Royce representatives, it promises a «huge improvement in terms of safety, integrity and availability, while at the same time reducing the through-life costs». 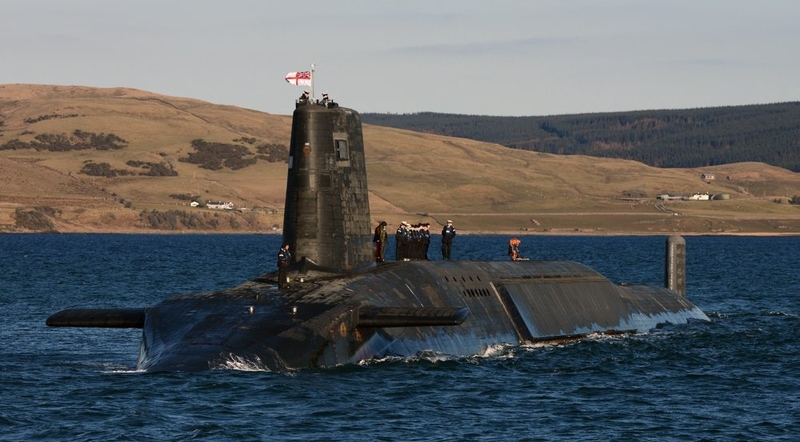 Meanwhile, the U.K. is also participating in the U.S.-led Trident missile life-extension program, which will keep the D5 ballistic vehicle – capable of delivering up to 12 independently targetable nuclear warheads – in service into the 2040s. One major decision remains outstanding: Whether to replace the Vanguards on a one-for-one basis, at an estimated cost of $17.28-$22 billion (at 2006/07 prices), or attempt to benefit from improved reliability and maintainability by ordering just three SSBN submarines. However, the cost savings inherent in a three-boat solution would be too small compared with total program expenditure, and the RN believes that 4 SSBNs is the minimum required to maintain a credible and continuous at-sea deterrent. «We have a proud history of collaboration with the United States on submarine programs and I’m pleased to say that continues today», Will Blamey, the Successor program director at BAE Systems Submarines said. «We’re more than halfway through the five-year assessment phase and are making good progress with the submarine design. We’re fully focused on achieving our program objectives and remain confident the first submarine will be in service by 2028». 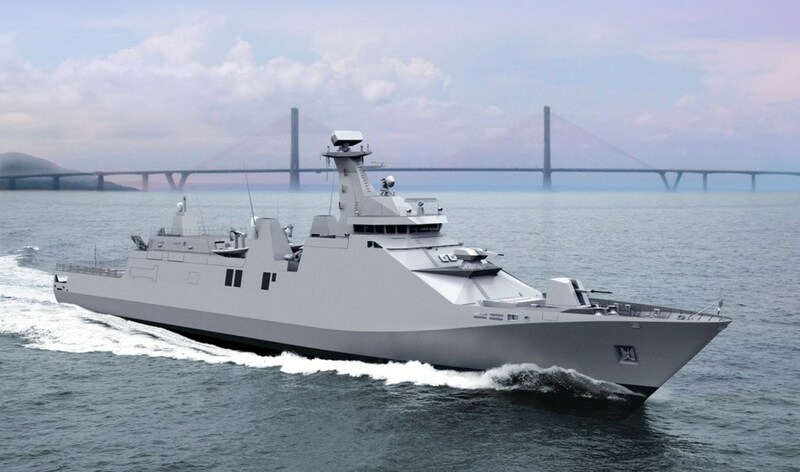 It is said in the IHS Jane’s Navy International that state-owned shipbuilder PT PAL has held a keel-laying ceremony for the Indonesian Navy’s second SIGMA 10514 Perusak Kawal Rudal (PKR) guided-missile frigate. Defence minister Ryamizard Ryacudu, who presided over the ceremony at PT PAL’s premises in Surabaya, described the keel laying as a vote of confidence in the local shipbuilding industry’s capability to produce a complex warship like a PKR frigate. PT PAL is building two PKR frigates in collaboration with Damen Schelde Naval Shipbuilding (DSNS, a Dutch shipyard) under a skills and technology transfer arrangement. For the second vessel, the Indonesian shipbuilder PT PAL is producing all of the modules except for the mast/bridge/operations block, which is to be completed by DSNS at its yard in Vlissingen, the Netherlands. For the first ship, PT PAL is responsible for the forward and stern hull modules and the mid and aft superstructure blocks. Both vessels will undergo final assembly and trials in Surabaya, the Indonesian Ministry of Defence (MoD) announced on 11 December 2014. The Indonesian MoD signed a contract with DSNS for the first vessel in December 2012, while an option for the second ship was exercised in mid-2013. The frigates are scheduled for delivery in January 2017 and October 2017, respectively. Indonesia has planned to acquire at least two more ships in the class, although a contract for these has yet to be finalised. The Indonesian MoD has said it will deploy the SIGMA PKR frigates for maritime surveillance, including to counter piracy and illegal fishing. The Tentera Nasional Indonesia – Angkatan Laut (TNI-AL) plans to equip the warships with AS565 Panther helicopters that will be fitted with the Helicopter Long-Range Active Sonar (HELRAS) dipping sonar and torpedo launching system, bolstering the frigates’ Anti-Submarine Warfare (ASW) capabilities. 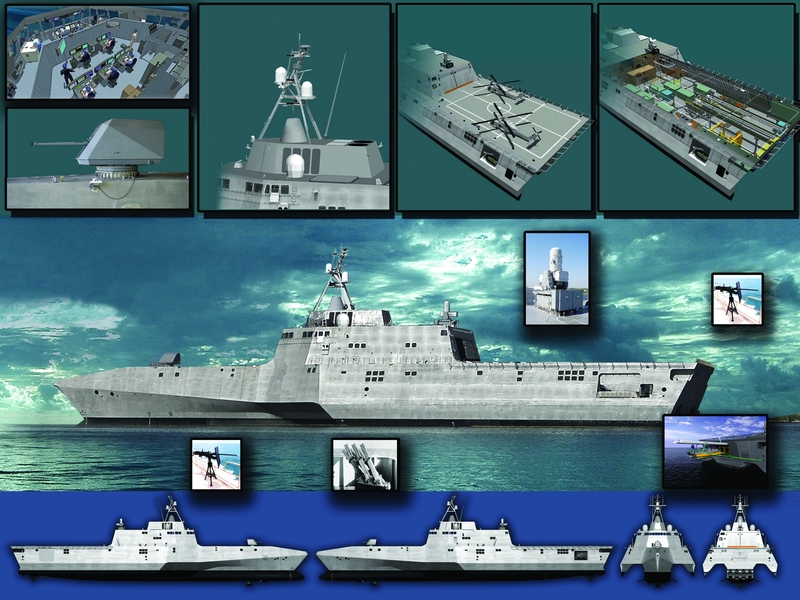 According to Ridzwan Rahmat, Singapore IHS, the Indonesian frigates will be equipped with a variant of the Thales TACTICOS 300 combat management suite, a Rheinmetall Defence Millennium 35 mm Close-In Weapon System (CIWS), a Thales SMART-S Mark-2 surveillance radar, and a 12-cell vertical-launch air-defence system. The ships will also be equipped with six 324 mm torpedo tubes. 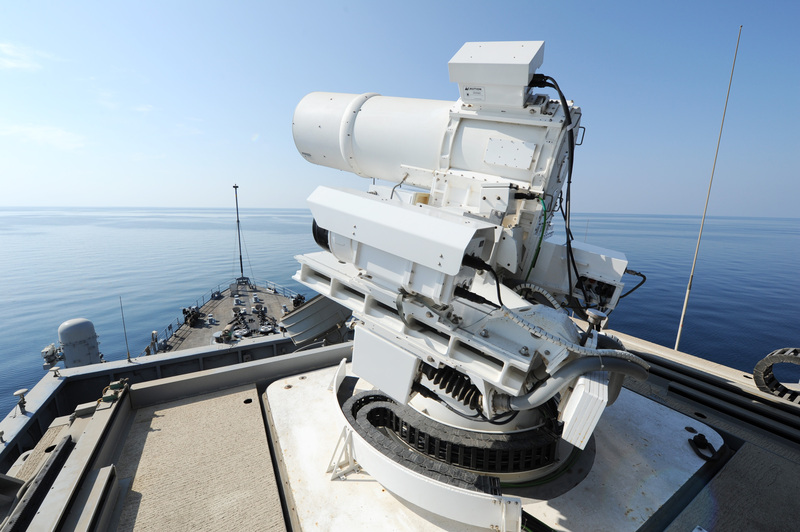 As David Smalley, Office of Naval Research Public Affairs reported, new laser weapon system (LaWS) was for the first time successfully deployed and operated aboard a naval vessel in the Arabian Gulf. The operational demonstrations, which took place from September to November 2014 aboard USS Ponce (AFSB[I] 15), showed a laser weapon working aboard a deployed U.S. Navy ship, besides LaWS operated seamlessly with existing ship defense systems. «Laser weapons are powerful, affordable and will play a vital role in the future of naval combat operations», said Rear Admiral Matthew L. Klunder, chief of naval research. «We ran this particular weapon, a prototype, through some extremely tough paces, and it locked on and destroyed the targets we designated with near-instantaneous lethality». Specifically, during the tests, the 30-kilowatt LaWS hit targets mounted aboard a speeding oncoming small boat, shot a Scan Eagle Unmanned Aerial Vehicle (UAV) out of the sky, and destroyed other moving targets at sea. Sailors worked daily with LaWS over several months since it was installed, and reported the weapon performed flawlessly, including in adverse weather conditions of high winds, heat and humidity. They noted the system exceeded expectations for both reliability and maintainability. The system is operated by a video game like controller, and can address multiple threats using a range of escalating options, from non-lethal measures such as optical «dazzling» and disabling, to lethal destruction if necessary. It could prove to be a pivotal asset against what are termed «asymmetric threats», which include small attack boats and UAVs. 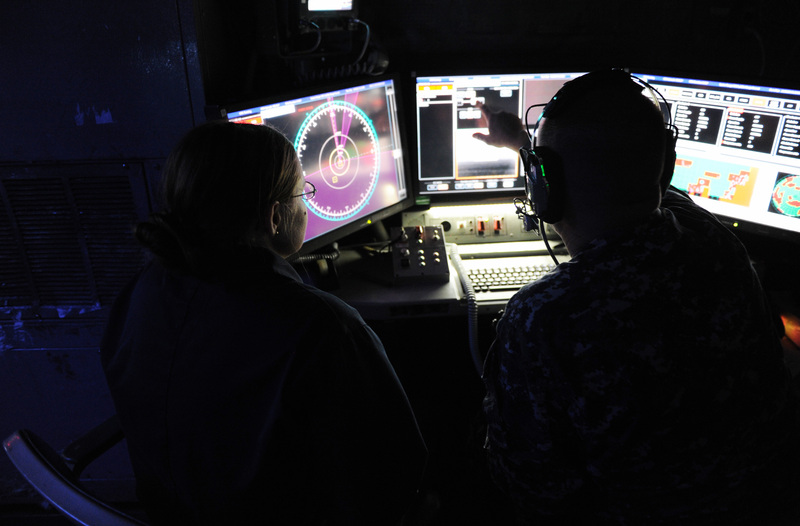 Data regarding accuracy, lethality and other factors from the USS Ponce deployment will guide the development of weapons under ONR’s Solid-State Laser-Technology Maturation program. 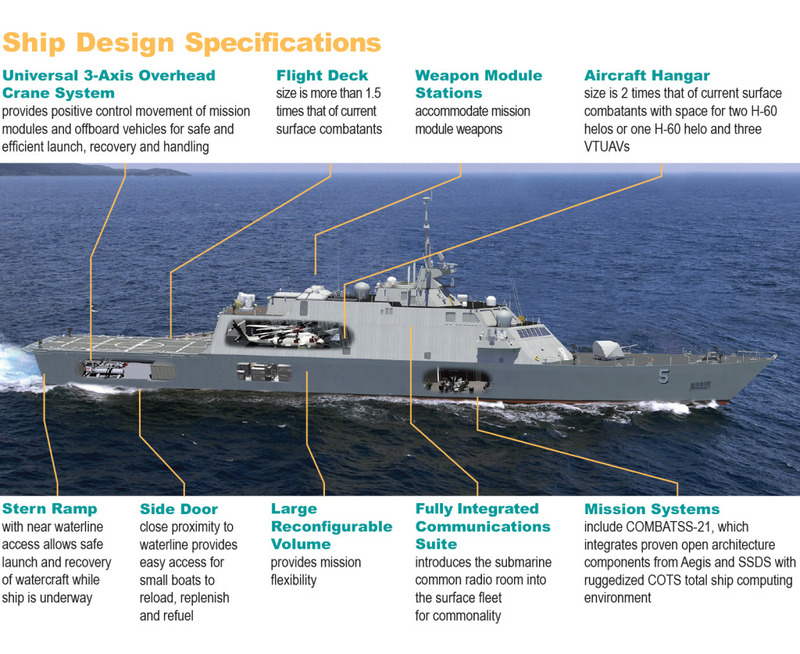 Under this program, industry teams have been selected to develop cost-effective, combat-ready laser prototypes that could be installed on vessels such as guided-missile destroyers (Arleigh Burke-class) and the Littoral Combat Ship in the early 2020s. Researchers say the revolutionary technology breakthroughs demonstrated by LaWS will ultimately benefit not only U.S. Navy surface ships, but also airborne and ground-based weapon systems. While laser weapons offer new levels of precision and speed for naval warfighters, they also bring increased safety for ships and crews, as lasers are not dependent on the traditional propellant and gunpowder-based ordnance found on ships. Lasers run on electricity and can be fired as long as there is power. They also cost less to build, install and fire than traditional kinetic weapons – for example a multimillion-dollar missile. «At less than a dollar per shot, there’s no question about the value LaWS provides», said Klunder. «With affordability a serious concern for our defense budgets, this will more effectively manage resources to ensure our Sailors are never in a fair fight». The Navy already has demonstrated the effectiveness of lasers in a variety of maritime settings. In a 2011 demonstration, a laser was used to defeat multiple small boat threats from a destroyer (USS Dewey DDG 105). In 2012, LaWS downed several unmanned aircraft in tests during naval exercises. Specific details on next steps and timeframes are being determined as the data from the current demonstrations are analyzed. According to Sam LaGrone, the USNI Online Editor at the U.S. 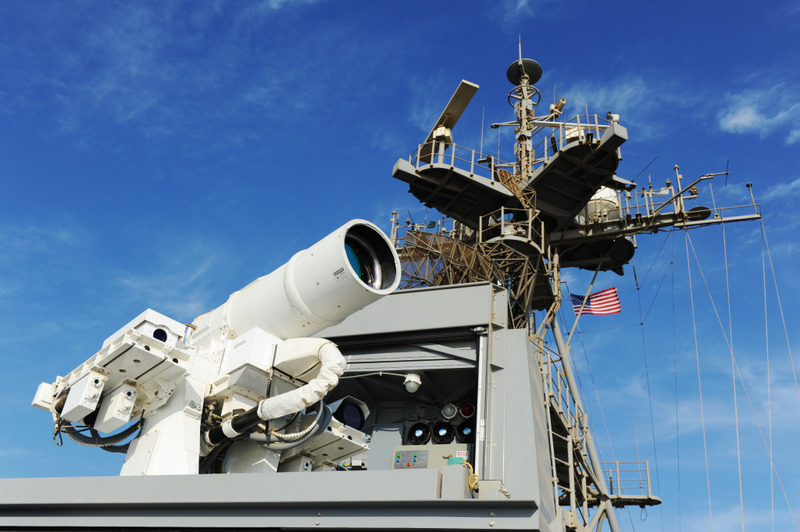 Naval Institute, the next step for laser weapons will be a 100 to 150 kilowatt version it plans to test in 2016 or 2017. A French shipyard Constructions Mécaniques de Normandie (CMN, located in Cherbourg) decided to repeat the success of its American competitors. CMN has been working on a very innovative design, adopting a trimaran hull, designed with a world expert on this architecture. More precisely, there are two projects: Ocean Eagle 43 and Ocean Eagle 43 MH. This conceptual ship is an ocean patrol trimaran combining a very slender hull with two small floats enabling the required stability. This combination, according to the French shipbuilders, reduces the fuel expenditure, increases speed and autonomy, while insuring a good level of comfort even in moderate to rough sea conditions. Ocean Eagle 43 can also be adapted for side scan sonar operation, special operations support, surveying and coastal oceanography. Unmanned Aerial Vehicle (UAV) capabilities increasing largely the line of sight. This vessel is the mine hunting version of the Ocean Eagle 43. The mine warfare-operating mode is based on the use of autonomous or remote operated vehicles embarked on the Ocean Eagle 43 MH playing the Mother Ship role. Operations are done at safe distance from the trimaran vessel. Detection of the Mines at long range improves the safety for the Mother Ship, assures the integrity of the crew and ensures the success of the mission. Defense against asymmetric threats, speedboats and the boarding of terrorists. An excellent ratio of (surface area covered + performance)/operational costs. 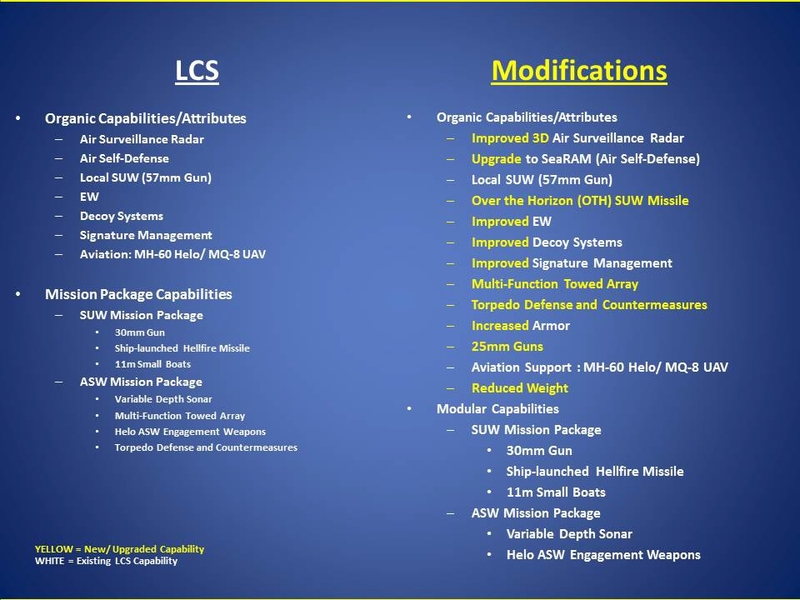 Command & Control (C2) System. As Richard Scott from London (IHS Jane’s Defence Weekly) reported, UK Secretary of State for Defence Michael Fallon has confirmed the selection of the strike-length Mark-41 Vertical Launch System (VLS) to meet the Flexible Strike Silo requirement for the Royal Navy’s next-generation Type 26 Global Combat Ship (GCS). 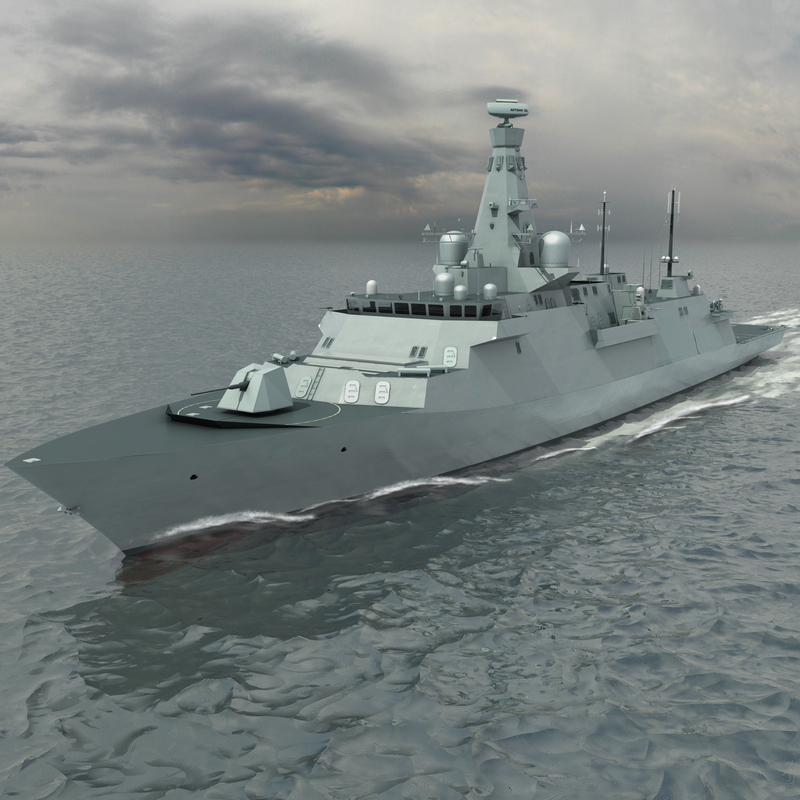 As previously reported by representatives of the company BAE Systems, the GCS will be a highly capable and versatile multi-mission warship designed to support anti-submarine warfare, air defence and general-purpose operations anywhere on the world’s oceans. With the design and development underpinned by battle proven pedigree of Royal Navy warships, the GCS will be capable of undertaking a wide range of roles from high intensity conflict to humanitarian assistance. It will be capable of operating independently or as a key asset within a task group. All variants of will share a common acoustically quiet hull and will take full advantage of modular design and open systems architecture to facilitate through-life support and upgrades as new technology develops. This will ensure the GCS remains relevant to future maritime demands and delivers an adaptable design with the ability to accommodate sub-systems to meet individual country needs. 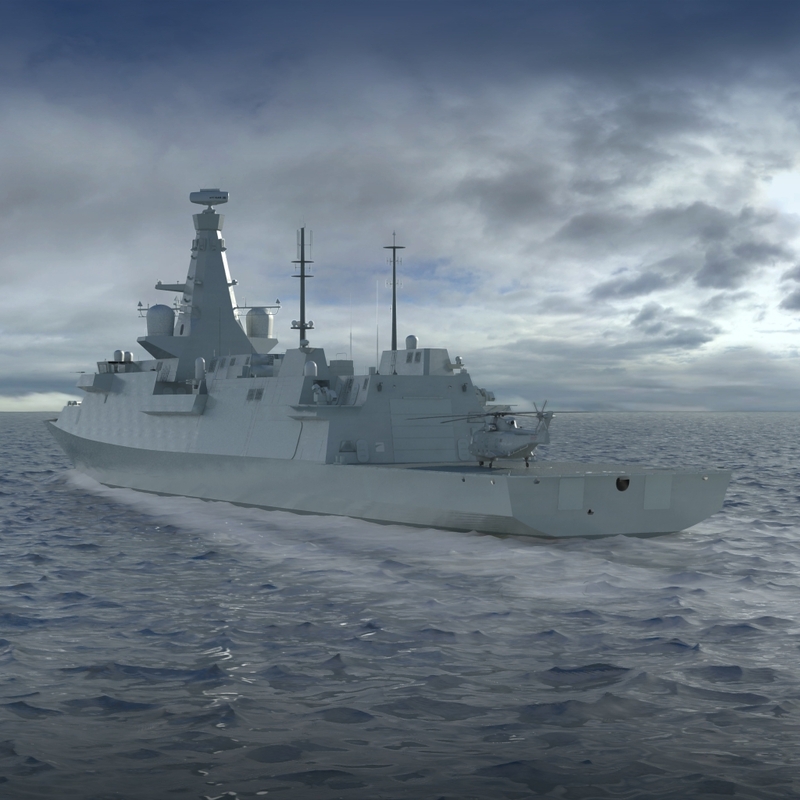 The Assessment Phase for the Type 26 programme began in March 2010 and a joint team of more than 650 people from across BAE Systems and wider industry are working with the Ministry of Defence on the engineering of the ship and to prepare proposals to be submitted later this year. The team aims to secure a manufacturing contract that will sustain this long-term national capability by the end of 2014. 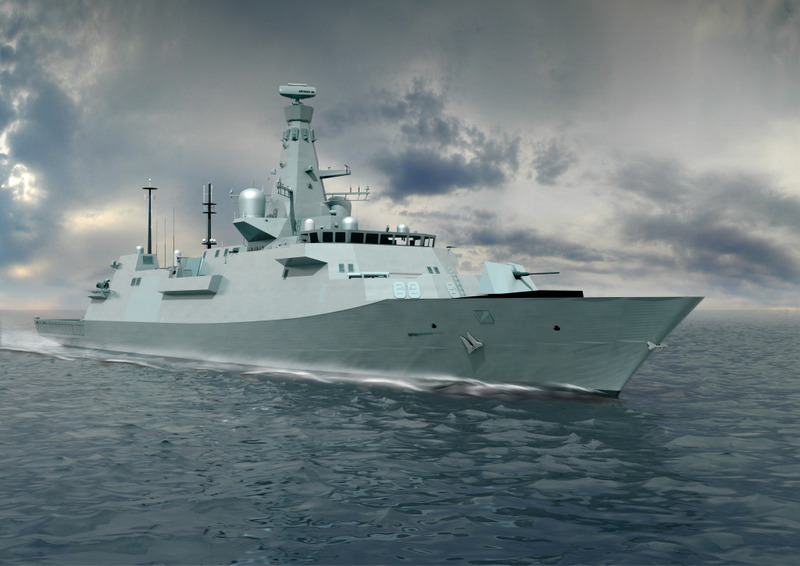 As it is expected, the Type 26 will replace the UK’s Type 23 frigates. Under current plans, 13 Type 26 ships will be delivered to the Royal Navy, with manufacturing in Glasgow scheduled to start in 2016. The first vessel is due to enter service as soon as possible after 2020 and the Type 26 class will remain in service until 2060. Versatility of roles is enabled by the Integrated Mission Bay and Hanger, capable of supporting multiple helicopters, Unmanned Undersea Vehicles, boats, mission loads and disaster relief stores. A launcher can be provided for fixed wing Unmanned Aerial Vehicle operation and the Flight Deck is capable of landing a CH-47 Chinook helicopter for transport of embarked forces. 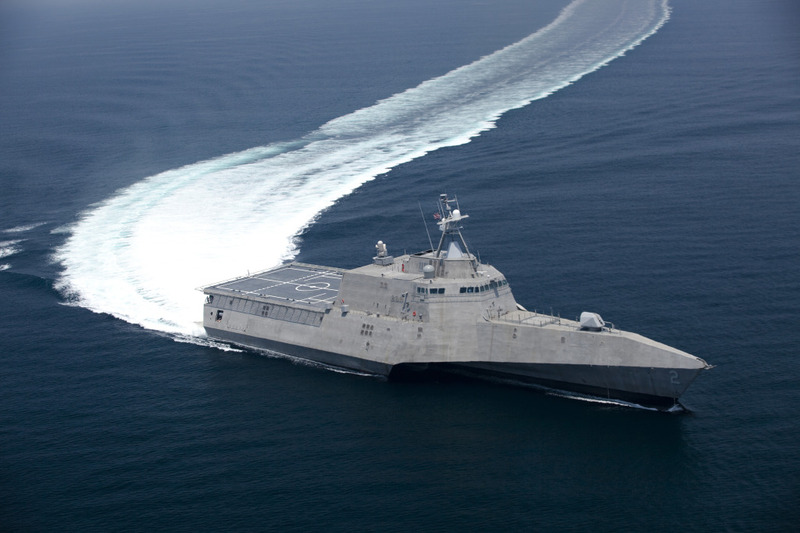 The U.S. Navy deployed its third Littoral Combat Ship (LCS), USS Fort Worth, on a 16-month journey to Southeast Asia for an expedition that will build upon the success of USS Freedom’s 2013 voyage. The new ship will operate from Singapore, the Navy announced. The U.S. Navy has said that while deployed, the ship will visit more ports, collaborate with more navies and expand LCS capabilities including the MQ-8B Fire Scout Vertical Takeoff and Landing Unmanned Aerial Vehicle. USS Fort Worth departed from his homeport Naval Station San Diego (California) on November 17 and is due back in March 2016. The ship’s Commander, Kendall Bridgewater, was enthusiastic about the upcoming mission and expressed his confidence in recent interviews with media who were invited to tour the ship prior to deployment. 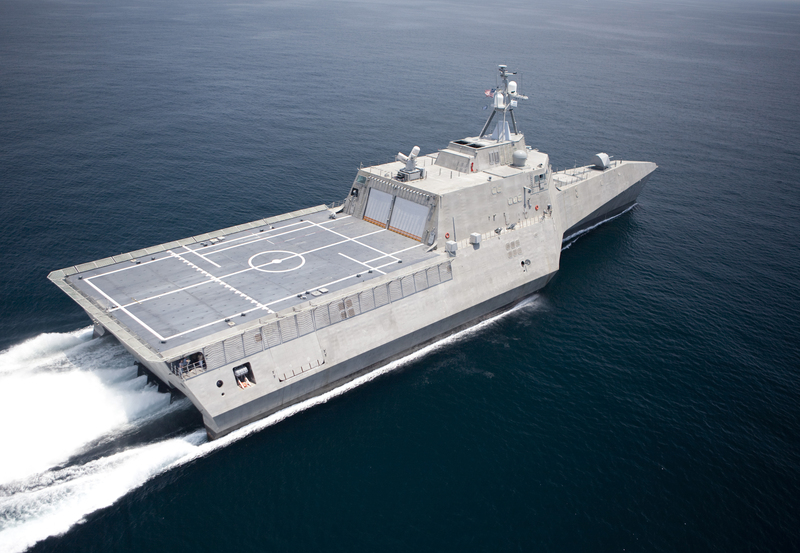 «The LCS is a fast ship with a shallow draft, which allows it to go into ports other Navy ships can’t access», Bridgewater said. «We can go in and engage with a lot more partners and allies», he said. 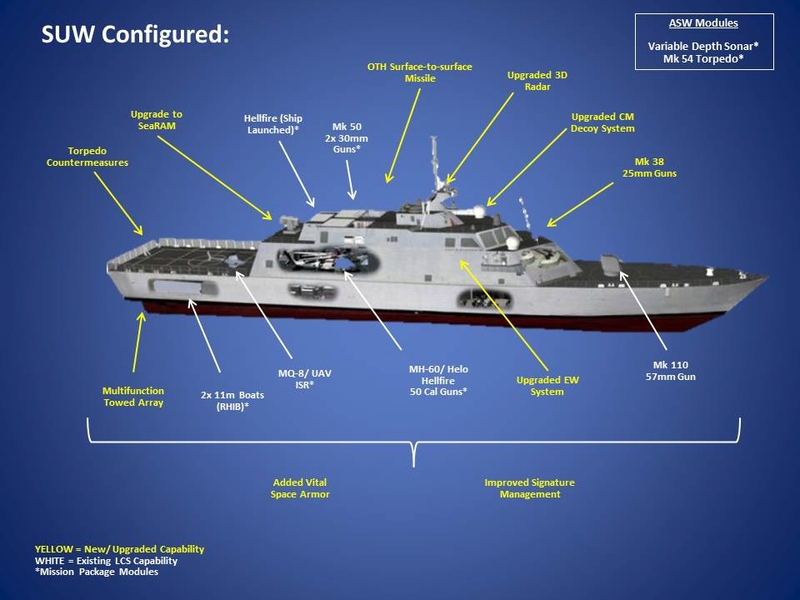 Along with an expansion of operations from the 2013 deployment, Fort Worth will be the first LCS to test the Navy’s so-called «3-2-1» deployment scheme. In fact, such a scheme of service is a classic shift work. Specifically, three crews will each take a four-month rotation on two LCS ships, one deployed and one in port. 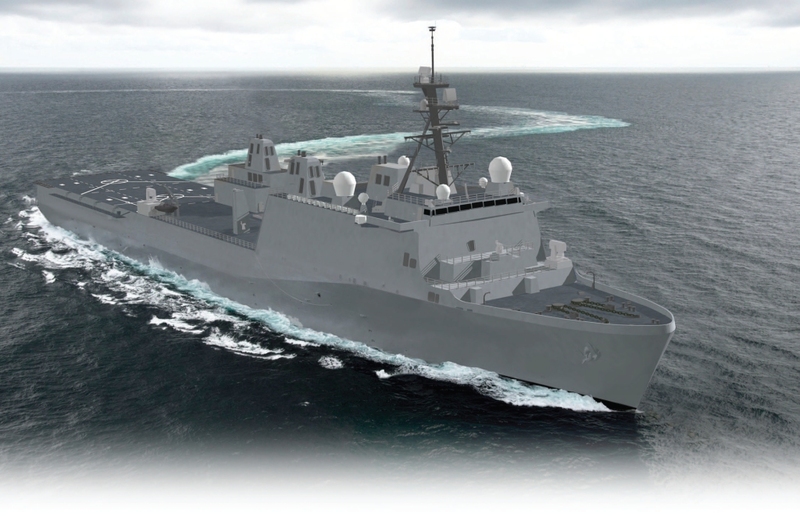 The idea of this scheme is to minimize crew fatigue and maximize the utility of a forward deployed ship. 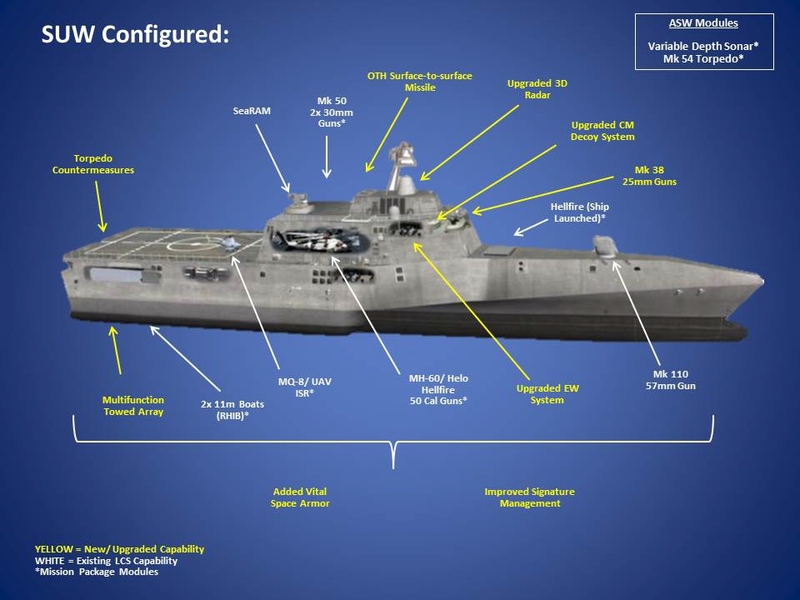 The service plans to have USS Fort Worth deployed for a total of 16 months. 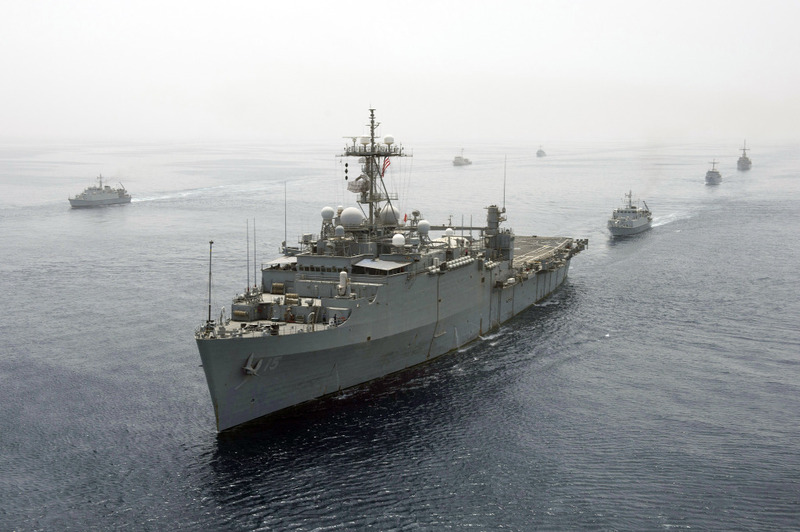 USS Forth Worth embarked with a detachment from Helicopter Maritime Strike Squadron (HSM) 35 that will operate both a MH-60R Seahawk manned helicopter and a MQ-8B Fire Scout rotary-wing unmanned aerial vehicle (UAV). 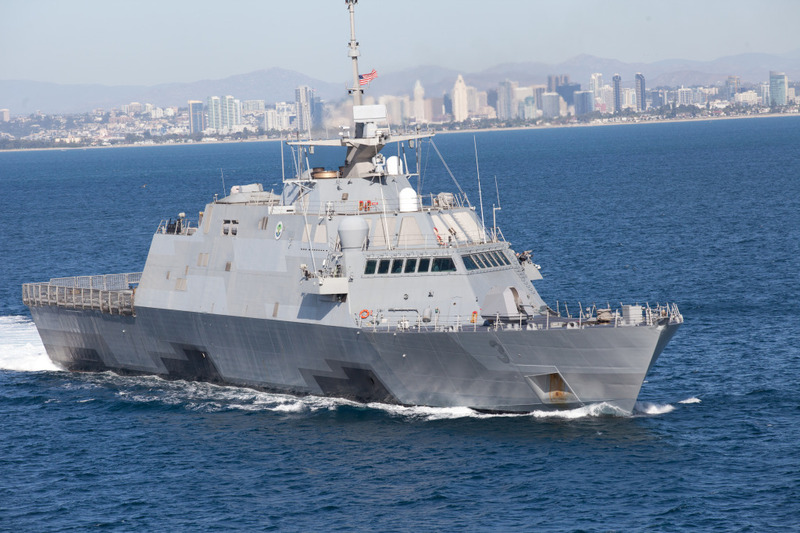 The ship, which has traveled more than 40,000 nautical miles, is the second LCS built by the Lockheed Martin-led industry team, which includes Marinette Marine Corporation (MMC) and Gibbs & Cox. Forth Worth was delivered to the Navy in 2012, two months ahead of schedule. The Ula-class submarines are among the most silent and maneuverable subs in the world. This, in combination with their relatively small size (length: 59 m; beam: 5.4 m; draft: 4.6 m), makes them very difficult to detect from surface vessels and quite ideal for operations in coastal areas. Therefore it is not surprising that these diesel-electric submarines are regarded as both the most effective and cost-effective weapons in the Royal Norwegian Navy (RNoN). However, it must be noted that six Ula-class submarines were commissioned between 1989 and 1992, designed for a service life of thirty years. These submarines are insufficient to meet future, high-tech threats. 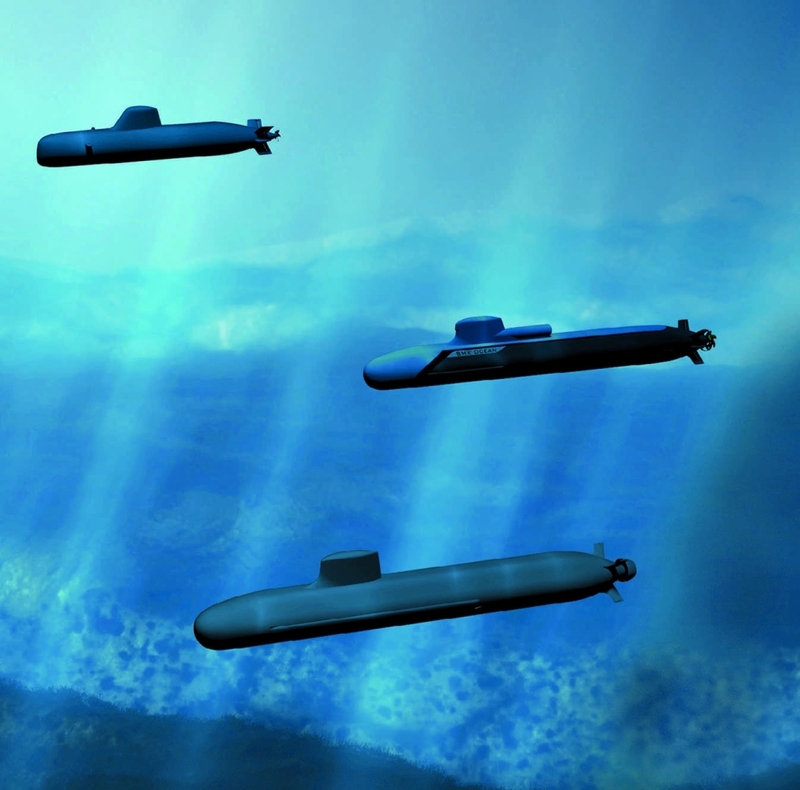 As defense-aerospace.com reported, Norway’s future submarine capability has been studied since 2007. The studies have been conducted in two phases, both with thorough external quality reviews before being presented. The Norwegian Government has now taken a conceptual decision on future submarine capability. «Submarines are a vital capability in the Norwegian Armed Forces, and have a major impact on our overall defence capability. Together with combat aircraft and Special Operations Forces (SOF), submarines are among the armed forces’ most important capabilities. Hence, it is very important that we now have established that the acquisition of new submarines will form the basis for further project work. This decision makes it possible for us to maintain a credible submarine capability», says Minister of Defence Ine Eriksen Søreide. He also noted that that the ability to operate covertly, which is so vital for the submarine’s relevance, will be significantly better for a new watercrafts than what is achievable through service life extension of the current fleet. This is due to lower acoustic signatures and a better hydrodynamic design. It is a substantial task that awaits the project organization. Part of the work will be to evaluate potential cooperation with other countries in terms of procurement, training and maintenance. A partnership can contribute to economies of scale and a robust solution throughout the life of the submarines. I guess the Norwegian Government will cooperate with Germany, as it was while Ula-class submarines were assembled in Germany by Thyssen Nordseewerke, Emden. By the way, in Germany the Ula-design submarines are known as the U-Boot-Klasse 210. The decision only entails that the project moves into a new phase – the project definition phase. No investment decisions have so far been taken. By the end of 2016, a recommendation on the future submarine capability will be presented. Thereafter, pending the Governments decision, an investment proposal will be presented to Norwegian Parliament. This will enable the delivery of new submarines to the Norwegian Navy starting from the mid 2020’s. Thus, the Ula-class must be kept operational for additionally five years (!) in order to maintain a continuous submarine capability until a replacement is operational. Studies, carried out by the Ministry of Defence, show that it would have been very costly and impractical to extend the service life beyond this. The total investment cost of this major project depends on the number of submarines and the weapons inventory. Of course, we are talking about diesel-electric watercrafts. Norway cannot afford to build and maintain nuclear-powered submarines. «I emphasize that we have not decided the final level of ambition for this project or the number of submarines. This is something I will give my recommendation on when the project is presented in 2016», says the Minister of Defence.